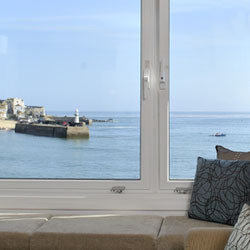 Beachshacks St Ives offer 5 outstanding quality self-catering holiday properties in St Ives Cornwall. Men an Mor Holiday Cottage includes parking, sleeps 6-8 people and is situated on the seaward side of the Warren in a conservation area of St Ives. A stylish cottage, it retains many of its period features and is perched above a large outcrop of blue elvin rock, next to Porthminster Beach. 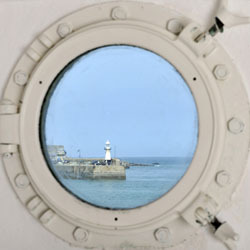 The large picture windows frame a spectacular outlook from St Ives harbour to Godrevy lighthouse. It occupies three floors of spectacular sea views and has three bedrooms and two bathrooms. Facilities include two LCD TV’s with Freeview, DVD players and a large selection of DVDs and books. There are various integrated appliances including a large fan oven, ceramic hob, fridge, dishwasher, free standing freezer, washing machine and separate tumble drier. This superb Cornish holiday apartment occupies 2 floors and sleeps 2/4 people. It is in a stunning location, perched high on the rocks next to Porthminster beach, with wide uninterrupted views from St Ives harbour to Godrevy lighthouse. The holiday apartment is fully double glazed and its facilities include a LCD flatscreen TV with Freeview, DVD player and a selection of DVDs and books. The main living area has a large window seat and a fully sprung sofa bed, suitable for everyday use. The kitchen has a full sized cooker with fan oven, microwave, and a Bosch fridge with small freezer compartment. Thornleigh is a secluded detached 4 bedroom cottage with a large and beautiful mature garden. The cottage has been recently renovated and improved to provide modern comforts. 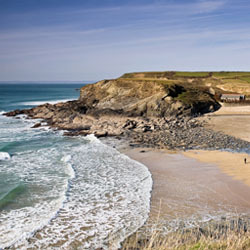 Thornleigh is 10 minutes from the coast in the middle of South West Cornwall, close to Porthleven, Helston and Praa Sands. 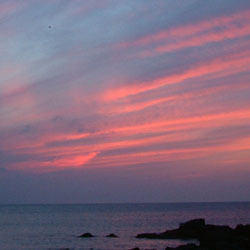 St Ives, Falmouth and the Helford are a 25 minute drive away.